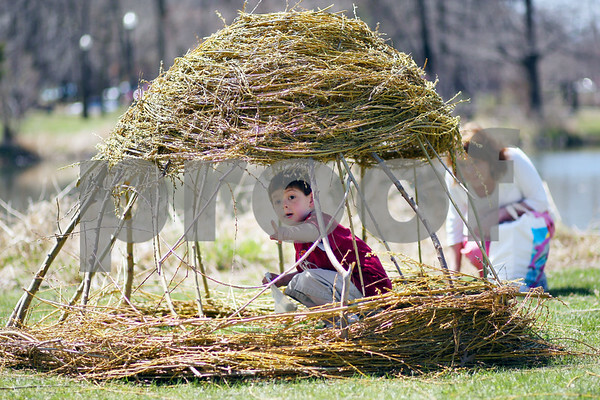 Dolan Hereck, 4, explores the inside of a hut of unknown origin while his mother Erin, of Sycamore, watches during a stroll around the NIU Lagoon on the Northern Illinois University campus in DeKalb on Friday April 17, 2009. "It's a beautiful day and wanted to get out," Erin Hereck said. It was Dolan's first time at the lagoon.